When should a business consider Motor Fleet Insurance? Fleet Insurance is a policy that covers multiple vehicles and owned by a Business and used in connection with that Business. Business owners who have purchased 3 or more vehicles for company use may be suitable to avail of the benefits of Fleet Insurance. 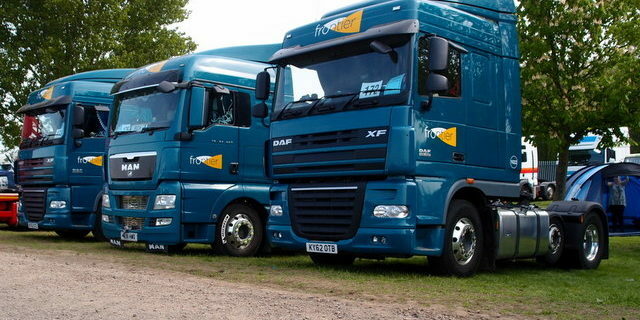 A Fleet Policy can cover different types of vehicles (cars, vans, trucks, special type vehicles and trailers) under the one policy, therefore insurers can apply a competitive rate to all vehicles on the Fleet Policy. Specialist cover for Hazardous haulage (Oil, Chemicals, Milk and other pollutants) are best covered under a bespoke fleet and liability policy. At Doyle Mahon Insurances we have access to the widest markets for these type of policies. Why not contact Doyle Mahon Insurances on 053 91 23630 or commercial@doylemahon.ie or visit our site on www.doylemahon.ie to learn more about affordable Fleet Insurance and find an option that best suits you needs.